A rider navigates the infamous Challenge section of the course. 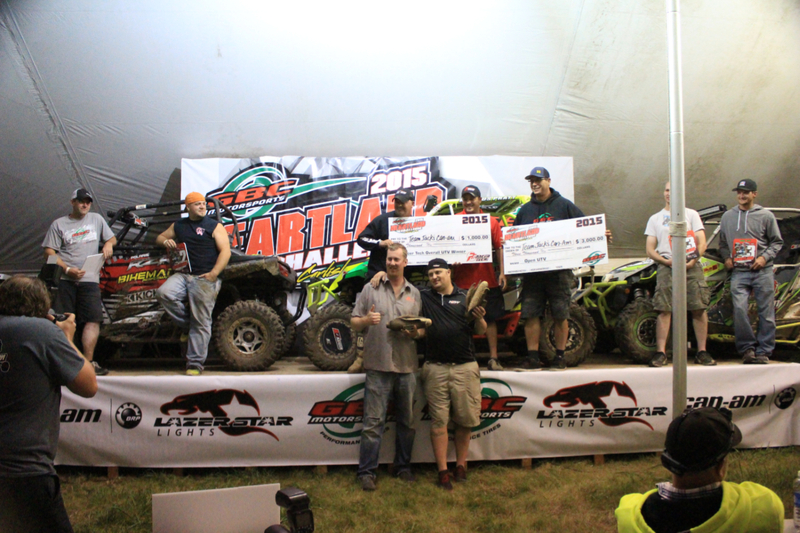 The 8th Annual GBC Motorsports Heartland Challenge is in the books! With a record-breaking 159 teams from 20 states in attendance (including racers from the UK as well), racers competed in a total of 18 classes across 4 different races, all vying for the trophies, cash payouts, and a year’s worth of bragging rights. Johnny Gallagher leading the Heartland Challenge Riding School. The preparations began on Thursday, August 20th as racers and their families began to roll into the event campgrounds. At 1pm racers Johnny Gallagher, Walker Fowler and GBC’s own Kory Ellis hosted a 4-hour riding clinic to help racers of all ages get some last minute pointers and to make sure their machines were in good working order. 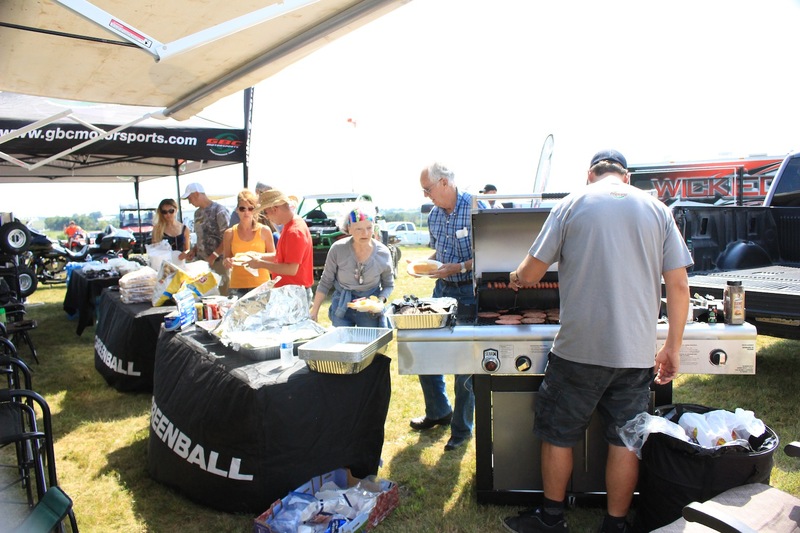 GBC's Kory Ellis mans the grill for riders and their families. The Friday festivities kicked off with a more check-in and tech inspections for the day’s races: the 1.5-hour Polaris Ace Challenge and the 4-hour UTV Challenge. At 3pm GBC hosted an afternoon barbecue for riders and their families as the Ace class competitors embarked on their laps around the Heartland course. After 13 laps the team of Rush-Boyd Team UXC2 from Gillette, WY claimed the top spot in the Ace class race, while GBC racer Jessie Stracham took third on a set of GBC Dirt Commanders. The Polaris Ace Challenge put these single seaters on the course for a 1.5-hour race. 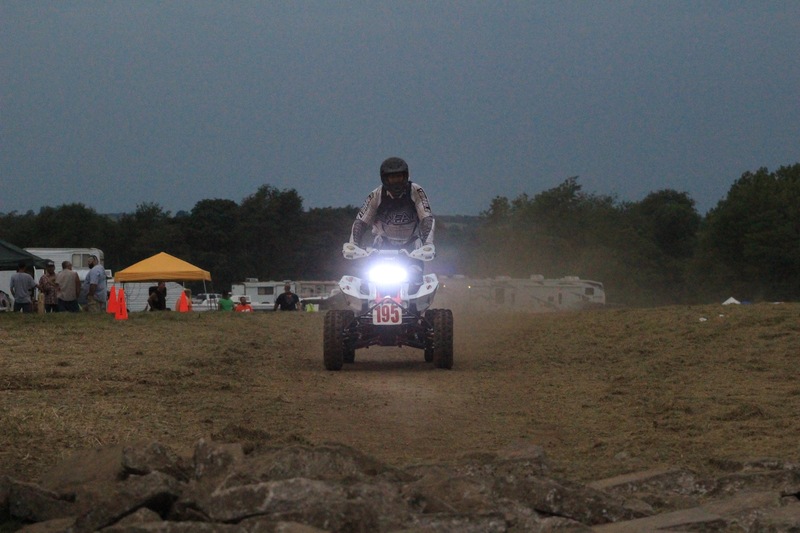 As the sun began to sink in the sky, more than 60 UTVs crowded the starting area for the 4-hour UTV Challenge. As the air horn sounded racers sprinted to their vehicles, fired them up, and roared into the first turn of what would be a long and arduous race. 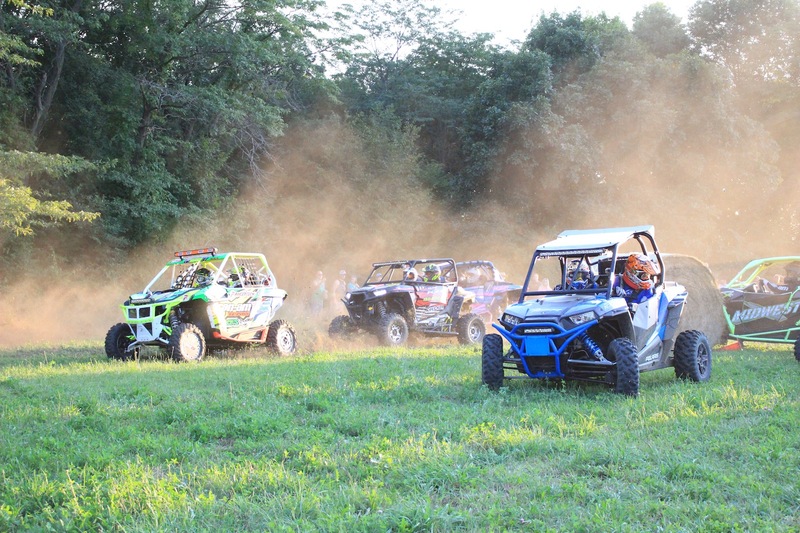 More than 60 UTVs competed in the 4-hour UTV Challenge. 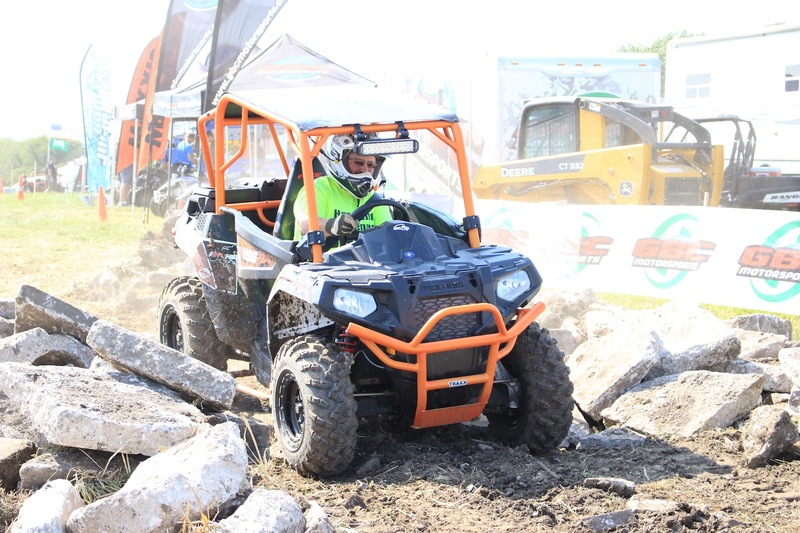 After four hours of racing through the challenging course in the dark, Team Jack’s Can-Am from Jefferson, PA took the UTV 1000 victory and also claimed the prestigious Overall top spot amongst the 60+ teams. 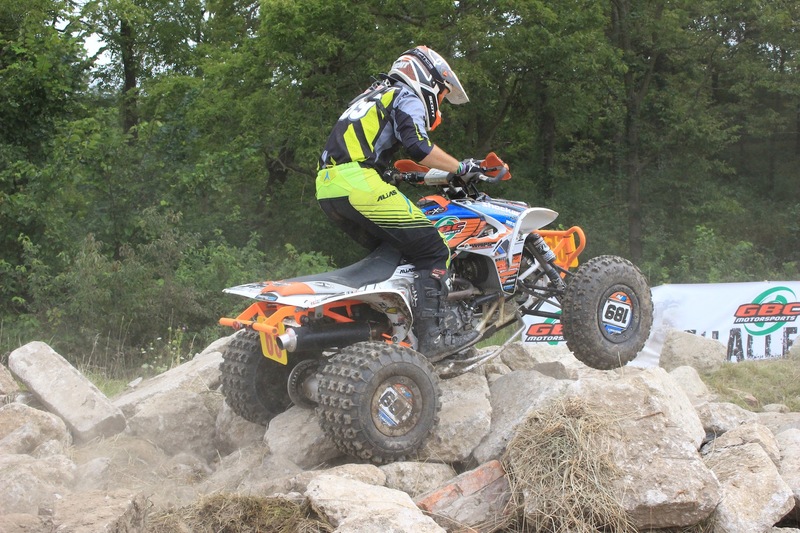 Team RJ Performance from Ottumwa, IA bested the UTV 900 class and the second spot Overall, while Team Torn Racing from Arlington, TX topped the UTV 800 class. 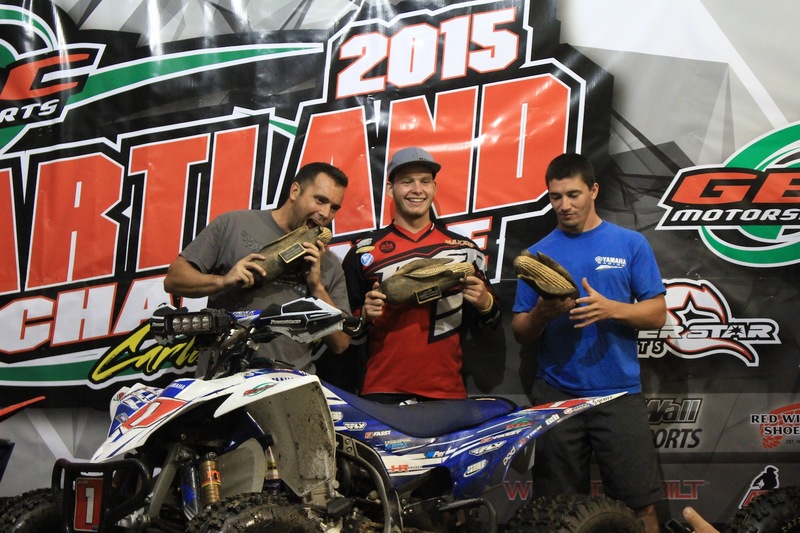 Team Jack's Can-Am took the UTV 1000 class and UTV Overall wins. 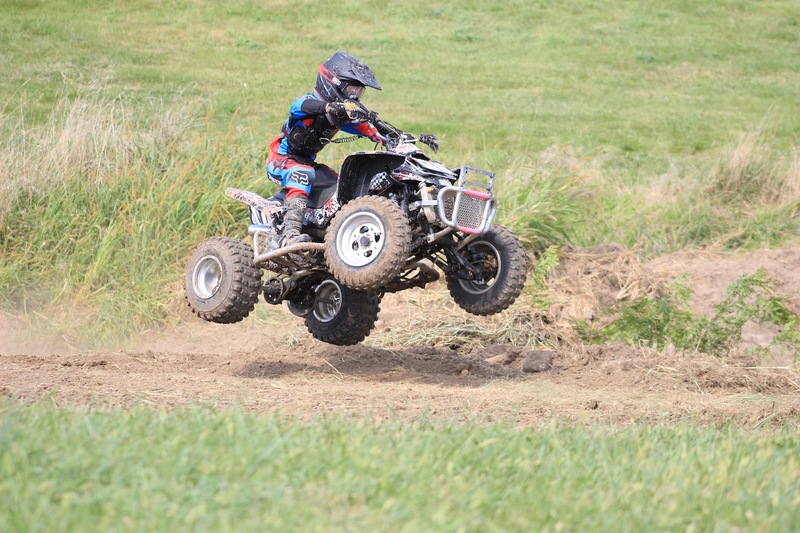 While the UTV racers might have stayed up late receiving their awards and celebrating their victories, it was an early bedtime for the children slated to participate in the next morning’s 3-hour Youth ATV Race. Saturday morning came early, and by 8am there were 17 children lined up ready to compete for four different class titles. 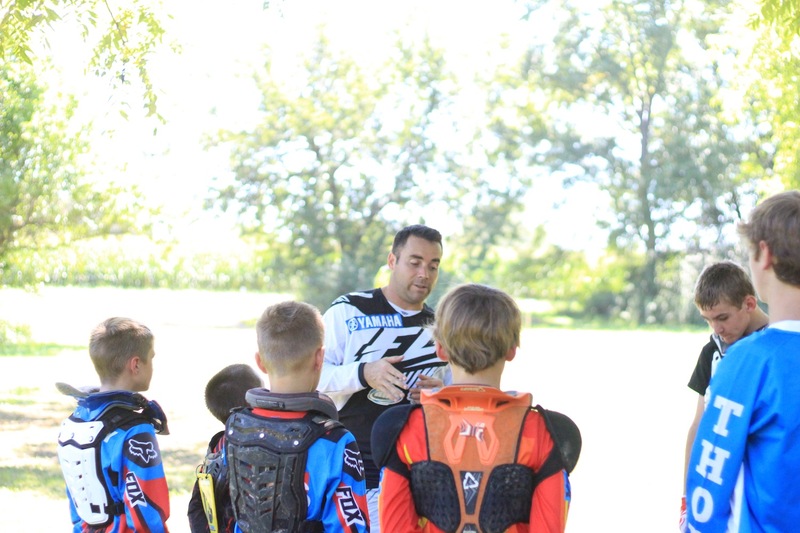 The 3-hour Youth ATV Challenge had kids of all ages on 50cc, 70cc and 90cc machines. The kids ran a modified course and Team Bananas from Carlisle, IA took the 90cc Production class and the Overall victories after completing 25 laps. Team K-N-D Racing from Jamesport, MO took the win in the 90cc Stock class, while Team 2 Fast 2 Strokes from Phill, IA won the 70cc Production class and Team DRR Madness from North Platte, NE topped the 50cc Production class. 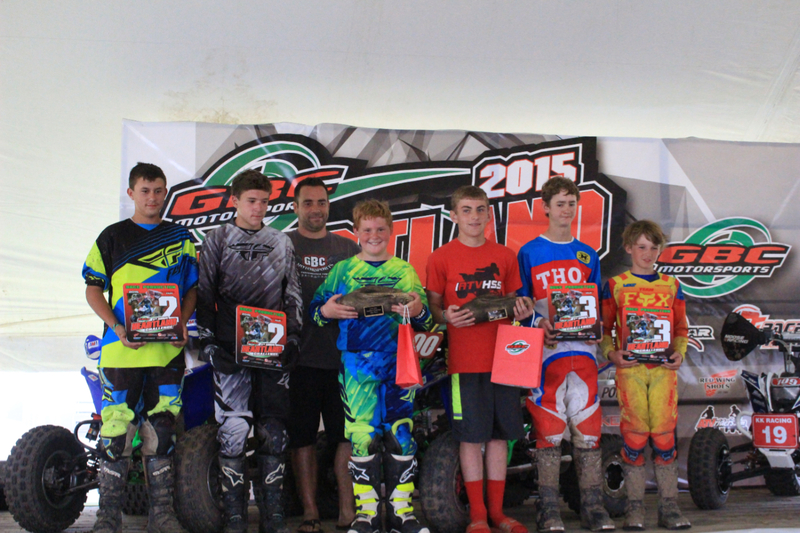 Johnny Gallagher presents awards to the 90cc Production class podium finishers. 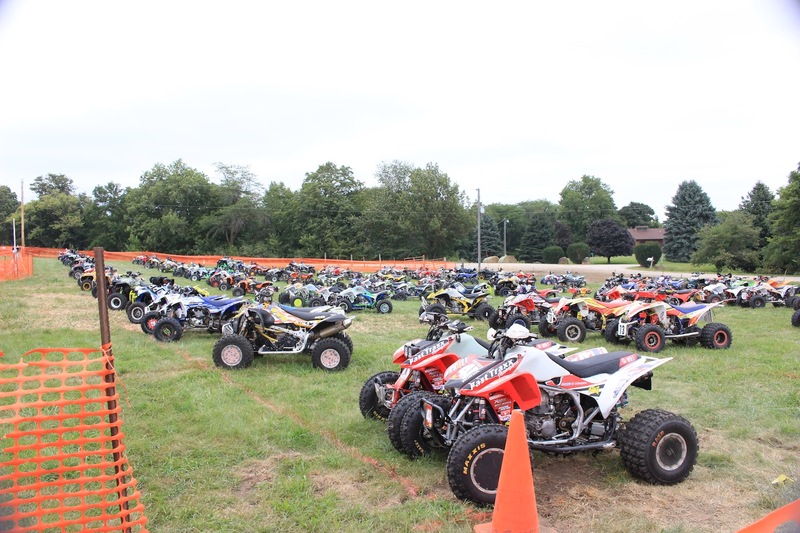 Following the Youth race awards ceremony and a quick lunch break, participants in the premier 10-hour Adult ATV Challenge prepared to begin one of the most difficult races imaginable. Set to run from 1:30-11:30pm, teams and ironman competitors would spend 10 hours battling the course, fatigue, and the transition from daytime to nighttime racing. As the race got underway and 76 riders hit the course to compete for 9 different class titles and the coveted Corn Cob Trophy, which would be awarded to each of the class winners. 76 teams and ironman competitors participated in the 10-hour Challenge. The field of riders attacked the course but employed their race strategies, as both riders and machines would be tested early and often during the 10-hour marathon. The course would take riders through a wide variety of terrain, including dense forests, wide open grassy stretches, and of course the infamous Challenge section of the track with obstacles of all sorts. 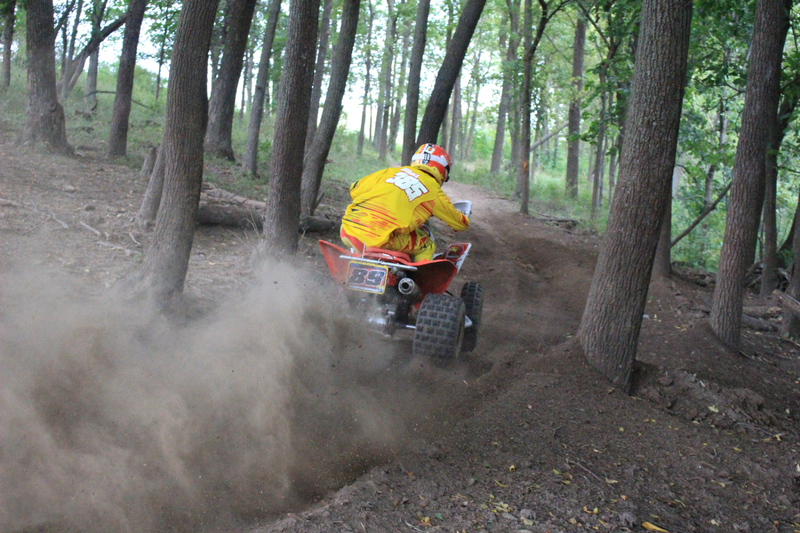 A rider pushes the pace through a wooded section of the course. Mother Nature decided to throw a wrench in the works and add yet another variable to the always changing conditions: lightning with heavy rains. As riders slipped and slid around the increasingly muddy course, race officials put the event on hold around the 7-hour mark to let the lightning pass. Light setups were required as darkness came and conditions worsened. By the time it had passed, the course had become impassable after the heavy rains and officials called the race. Team Yamaha from Aurora, OH, led by GBC sponsored rider Johnny Gallagher, claimed the AA Class win and top Overall spot, taking possession of the Corn Cob Trophy. Team UXC out of Lewisburg, TN took the win in the 4x4 Pro Class, while Matt Lindle bested the Ironman Class and Team Mickelberry won the Women’s Class. Team Yamaha took the AA Class win as well as the 10-hour Overall title. Prior to the event, GBC Motorsports partnered with their sister company Kanati Tires to give away a set of Kanat light truck tires to one lucky pre-registrant. Joe Dolejsi from Minnesota was randomly drawn from the pool of pre-registrants and opted for a set of LT305/70R18 Kanati Mud Hogs for his truck. We delivered his Mud Hogs at the event, and Joe went home with his new set of tires. Congratulations again to Joe; we hope you enjoy your new Kanati tires! 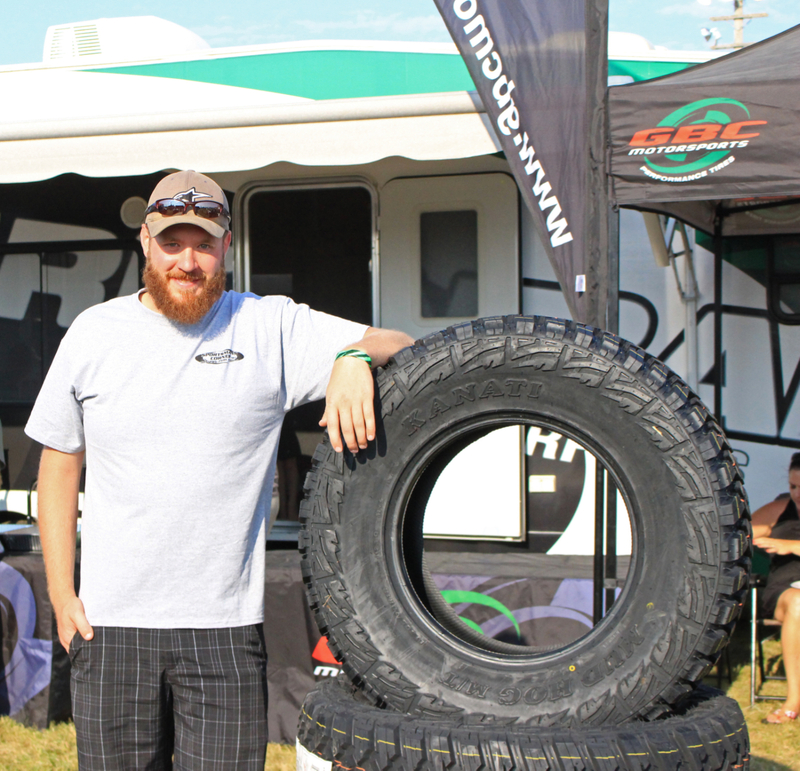 Giveaway winner Joe with his set of Kanati Mud Hog tires. GBC Motorsports is a proud supporter of not only the Heartland Challenge, but many race series and racers across the country. To learn more about GBC Motorsports tires for ATVs and UTVs, their race efforts, contingency program and more, visit www.GBCMotorsports.com.